TOEIC stands for Test of English for International Communication and is an internationally recognised test to assess the English communication abilities of non-native English speakers. This test has been conducted in more than 90 countries around the world and the total number of examinees a year is approximately 4.5 million. For companies, particularly in Asian countries, the TOEIC score can largely affect promotions and employment within the company. 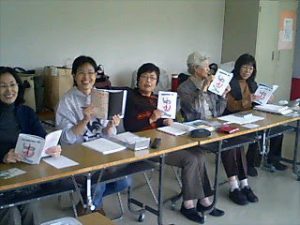 Japanese test-takers ranked 40th of 48 countries in 2013 on their average score on the Test of English for International Communication (TOEIC), organized by Educational Testing Service, a private, nonprofit educational testing and assessment organization. TCIAP is registered as a TOEIC Test Centre in Thailand; The TOEIC test consists of two parts; Listening Comprehension and Reading. At TCIAP, you are prepared for the listening section with one of the most famous and effective ways of teaching, The NLP-Nuero-Linguistic Programming, and simultaneously, you can improve your reading skills with the TOEIC Intensive Course by focusing mostly on each part of the TOEIC Reading Section. 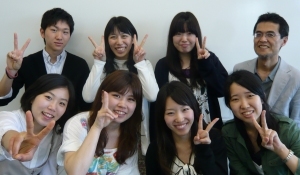 Within covering the two sections, you can aim for the highest score in the TOEIC test ! The course has been developed by a non native English speaker Team who were tokened with 990 in TOEIC Point and who understands how international students should tackle the test from his experience of teaching as well as taking the TOEIC test.